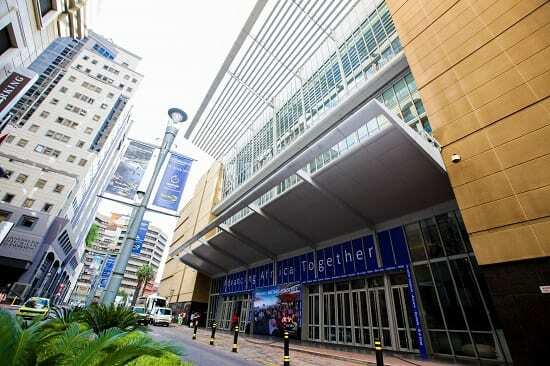 Sandton Convention Centre has won the coveted bid to host Meetings Africa for the next five years, having had 12 successful years of hosting what has become the continent’s largest business tourism event. Meetings Africa is the showcase for Africa’s diverse offering of global meetings services and products, and is an iconic industry event, highlighting Africa’s steady climb in the world rankings as a preferred business destination. Eighteen African countries were represented at Meetings Africa 2017, which attracted 298 exhibitors, 177 international hosted buyers, 57 African association hosted buyers, and 126 local corporate hosted buyers. At the SCC stand alone, 108 meetings were held over two days. A large proportion of the hosted buyers, exhibitors, corporate visitors, and students from the Future Leaders Forum, were accommodated at Tsogo Sun’s Sandton Sun, InterContinental Johannesburg Sandton Towers, and Garden Court Sandton City.